CXDay celebration is on October 3, 2017. It’s a time to celebrate customers and a time to reflect over the past year and realize just how far we’ve come. –Customer Experience (CX) is now a top priority for many companies, according to recent Forrester research. –Walker research revealed CX is quickly becoming the key brand differentiator over product and price. -The Chief Customer Officer role is gaining traction. -Companies are embracing customer journey mapping. -Emerging technologies like predictive analytics and artificial intelligence are enabling organizations to go deeper with customers. -Companies realize that there isn’t one perfect metric that’s the “magic pill”. Rather, to optimize CX, it takes a combination of measurements. –CX and content continue to converge to drive customer lifetime value. While there have been many advancements in CX, there is still work to do. CX has many opportunities in front of it. One of those opportunities is employee engagement. It seems sometimes that companies think that a good CX is only a case of ensuring external customers have a great experience. But what about the internal customer, the employee? Companies ensure engaged customers, why don’t they ensure engaged employees? The employee experience tends to lag behind the customer experience because companies tend to not consider the employee as a core driver of the business. While employees support CX, they are easily expendable when companies need to cut costs. But, wouldn’t an employee who feels engaged and empowered create engaged customers? Great CX magic results when a company can align its customer goals with the needs and interests of its employees. CX leaders get this truth. They have a clear focus and understanding of the importance of engaged employees. So, CX leaders ensure engaged employees. They make sure that all employees – leadership down to the front lines – understand the organization’s CX vision and why it’s important, how they fit into that vision; and take ownership of their particular piece of the CX process. –CX leaders have more engaged employees. 79 percent of employees who work at companies with “significantly above average” customer experience in their industry are “highly” or “moderately” engaged, compared with only 49 percent at companies with “average” or “below average” customer experience. This means that employees working for CX leaders are more committed to their jobs. Engaged employees drive growth. In Aon Hewitt’s 2017 Trends in Global Employee Engagement report, it found that a five-point increase in employee engagement is linked to a three-point increase in revenue growth in the subsequent year. Yet, employee engagement remains consistently low. Gallup reports only 33 percent of US workers are engaged, and only 15 percent of workers worldwide are engaged!! Not onboarding employees leads to more turnover, and turnover costs companies a lot of money in recruiting and lost productivity thanks to the vacancy. CBS MoneyWatch notes that it costs companies between 16-20 percent of that employee’s salary to replace them. Organizational costs of employee turnover are estimated to range between 100 percent and 300 percent of the replaced employee’s salary. Yet according to Talya Bauer, PhD, new employees who went through a structured onboarding program were 69 percent more likely to still be with the organization after three years. Onboarding is not just about orienting new employees to the company’s policies and procedures. It also involves helping employees understand their job, performance expectations, and the culture; introducing them to co-workers and management; connecting them with sources that will enable them to do their jobs well, etc. -Ensure their first day on the job is special. -Clearly define objectives, roles, and responsibilities so new employees understand what is expected of them. -Provide an onboarding plan and monitor it over time to ensure success. While employees want opportunities to advance within an organization, they also want autonomy, more responsibility, and respect. -Work with employees to create a plan for their personal and professional growth. Check in frequently and monitor progress. Offering more feedback, providing more reviews and recognizing employees for a job well done will make them feel more valued, and as a result, they will be more motivated to do their best work. 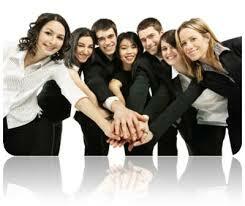 -Offer employees coaching and mentoring so they feel supported and respected. Encourage them to take ownership for their development. Provide hard-skill and soft-skill training. And, consider cross-departmental training as well. Cross-departmental training provides two key benefits – employees learn how different parts of the organization work together, and employees can connect with other employees to build camaraderie. Also, encourage other training activities like outside class attendance and membership in professional associations. Training helps give employees more autonomy – they have different methods and tools at their disposal to do things well on their own. -Search out the right managers and hold them accountable for their employees’ engagement. Poor manager-employee relationships are a top cause of employee turnover. The best managers understand that their success and the organization’s success rely on employees’ achievements. Yet, not everyone is a great manager. Organizations’ ability to select people who have this talent is key. A recent Harvard Business Review article says only a small percentage of employees understand their company’s strategy and direction. It cites research that says that even in high-performing companies with “clearly articulated public strategies”, only 29 percent of their employees can correctly identify their company’s strategy out of six choices. That means seven out of 10 employees are not aligned with your company’s strategic direction! How can an organization perform optimally with only 30 percent of its people rowing in the same direction? Senior leadership should help employees understand where they are going and give them tools on how to get there. -Developing a clear, agreed-on vision and strategy where all employees can contribute to its formation. Employees will feel they are a part of the decision-making process. -Translating the vision and strategy into clear, understandable goals and measurements. This gives employees a sense of ownership and passion to reach goals. -Making sure employees have the talent, information, and resources to enable them to perform at their best. -Creating an environment of open and clear communication. That includes providing feedback, keeping employees informed and excited about the vision and the mission. -Providing meaningful incentives, rewards, and recognition that serve to set an example for other employees and encourage staff to go over and above expectations. Incentives, rewards, and recognition should tie to a company’s business objectives. Employees who have a sense of purpose are not only happy but are more productive. Research shows that happy employees translate directly into more loyal, satisfied customers and increased revenue. VoE measures employee engagement, which shows how motivated, involved, and productive employees are. Organizations must listen to their employees and implement actionable insights identified from this feedback into a company’s processes to improve an organization. -Use multiple channels – online feedback, surveys, social media, interviews, etc. – to find out what motivates or troubles employees. Use the right tools to collect the right data. Data should be specific, relevant, and actionable for any team. And data should influence key performance metrics. -Extract actionable insights from the data and route to the right people so they can take immediate action. -Complete the loop by communicating with employees on actions that have been taken. To create great customer experiences, engaging employees is a must. Doing so, organizations can transform their employees’ work experiences into ones that will enable them to bring their best to work every day. And that affects the bottom line. This post is part of the Customer Experience Professionals Association’s Blog Carnival celebrating customer experience. It’s part of a broader celebration of Customer Experience Day 2017. Check out posts from other bloggers at the blog carnival. And learn more about CX Day at http://cxday.org.